Modders have been waiting a long time. 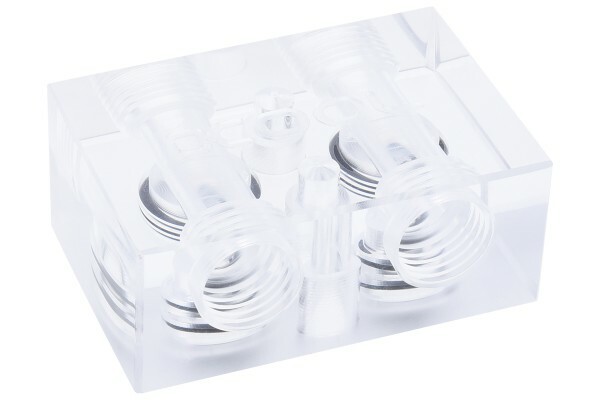 But now they're here: The Alphacool GPX SLI Connectors in Plexiglass edition. Just like its predecessors, it has LED holes (5mm) to illuminate the SLI connector. Up to 4 graphics cards can be cooled with the SLI connection, in which flow passes through the coolers in a row. Important: Due to the design of some GPX coolers, a 1/4" extension may be required in order to install the SLI bridges. Please note the information in the descriptions of the respective GPX coolers.